Despite being red and gold, this bookmark reminds me more of some aging, velvet-and-cheap-gilt bordello than Gryffindor House. 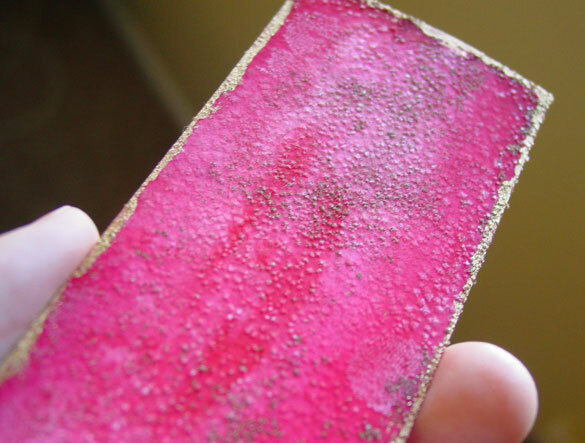 There’s a plethora of subtle texture on this one, from the wash of red-on-red to the fine layer of crystallized salt, the copper metallic paint powder mixed into the salt and the brighter gold border. 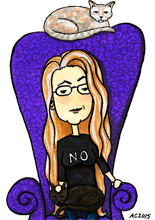 Bordello Red Bookmark, 1.875″ x 4.875″ salt and watercolor on paper. Above, you can see the sparkle in the rain, and the odd spot where I made a little fingerprint in the paint that then grew its own salt-crystal relief. 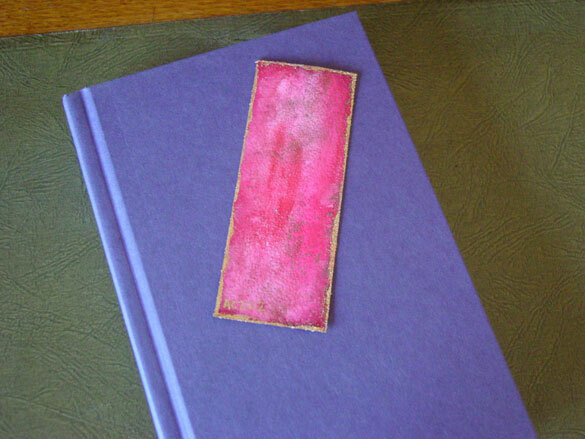 Below, the bookmark is resting against my blue-violet book, waiting for a chance at a new life.